ePerearstikeskus (Self-Care Portal) is the latest solution of the software development company Industry62, which has developed the Estonian nationwide health information system and life-saving e-ambulance for almost ten years now and it improves the communication between the general physicians and the patients. ,,We offer our clients a wide range of custom-made software solutions,” Andrus Altrov, head of Industry62 said. The custom software development company with close to 100 employees – the majority of the workforce belonging to the ownership – can point to the Estonian National Health Information System (ENHIS), e-Ambulance, and ePerearstikeskus as their most significant development achievements to date. “ENHIS is a central information system that brings together the Estonian population’s health data,” Altrov said. Work on the system began with Hewlett Packard in 2008 and the resource has been improved year by year. Today, the information system contains 28,640,165 documents for 1,536,254 people. 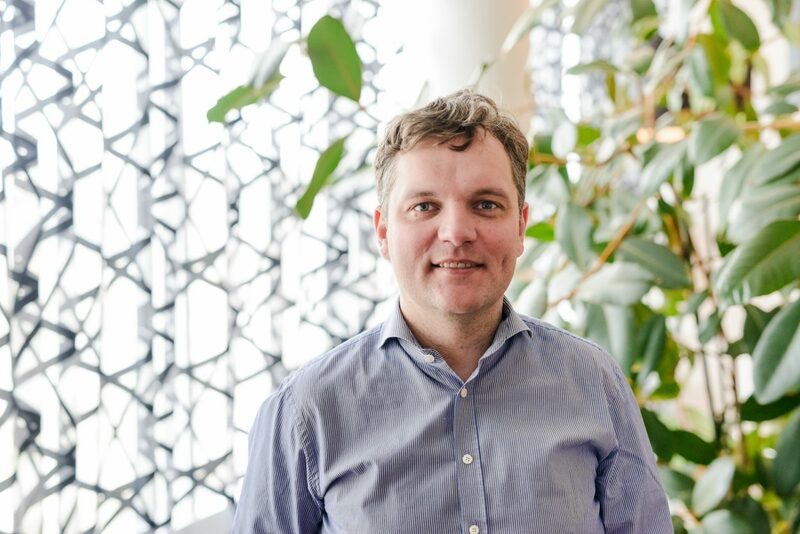 The company’s e-health team leader Taavi Tasuja confirmed that with this solution, Industry62 has been a consistent partner for Estonia. Standardisation makes this project more complicated than others. Tasuja thinks that what makes the health information system more complicated than the other developments is the fact that in developing solutions for the medical field, one must take into account the laws and general sector-specific peculiarities. A lot of e-services have been created for the health information system. One example might be the electronic medical certificate, which means that the person does not have to commute between several authorities when applying for a driving license. The Vehicle Registration Centre Information System can easily check whether there is a valid medical certificate. According to Altrov, the health information system is not intended to be a simple data archive but must provide e-services for associate information systems instead. “Another thing that I am very proud of is the e-ambulance solution developed for the health information system,” Altrov added. Emergency medical care personnel can perform a real-time query through a tablet about the time-critical health data of the patient. For example when the person is lying on the street unconscious, the person can be identified by his ID card and queries can be made from the central system about his allergies, contraindications for some drugs, what has happened to him before, and whether his is a patient at risk, who may have some expected health deviations. This system allows the receiving hospital to be informed in advance about the state of the patient being brought in and which actions have been done with the patient. That way the hospital emergency department can prioritise their work better. The third development with a broad perspective is ePerearstikeskus for primary health care providers. During the last year, this pilot project has been used by Diana Ingerainen, the head of the Estonian Society for General Practitioners, whose family health centre sees nearly 11, 000 patients. User satisfaction with ePerearstikeskus can be evaluated as very good. The system has two sides. On one, the patient can describe his own health situation in the information system and the general practitioner can see it. For example, the patient can measure their own blood sugar, record their child’s weight and height, etc. The other side is communication, the exchange of messages between the physician and the patient. Very often patients do not really need to meet with their physician. For example, when a prescription drug has run out, a patient can ask the physician to extend the prescription through the system. Tasuja emphasised that such messaging within the system moves along with the patient. It means that when the person moves and his general physician changes, the preceding conversations accompany him. What distinguishes it from an ordinary e-mail communication is that e-mails are not that easy to find at a later time, do not go to the new general physician with the patient, and are not secure. Namely, in Perearstikeskus it is necessary that both patient and the physicians log in with a secure ID-card or a mobile ID. This way it is certain that they are communicating with the right person. For booking an appointment with the general physician, the patient has to submit an application through the system and then respond to questions as to why the visit is intended. Among other things, it provides the physician an opportunity to prepare himself for the appointment. Altrov said that Industry62 sees the Nordic countries as the most interesting adjacent markets. However, developed medical solutions cannot be offered directly abroad due to different funding models and legislation, meaning that medical solutions are of a local nature. Tasuja added that, therefore, the aim is to apply the experiences gained in Estonia in the rest of the countries through the creation of a local solution with regional partners. Great experience may be considered Industry62’s competitive advantage — after all, any customer ordering the solution wants to see that the company has previously resolved a similar task. According to Altrov, Connected Health cluster membership offers an opportunity for better cooperation with other companies with similar interests. When solving cluster problems, there is a common goal for all. “When we ought to do something bigger abroad, Estonian companies are individually too small for realising it, but through cooperation we can do more,” Altrov said.